This brought new twists in the set approach of SEO professionals who were largely depending on back-linking tactics for higher ranking. Brainstorming initiated among SEO experts for seeking ways to rank on Google’s first page without using back-links. In the course of three years, this brainstorming resulted in the discovery of some amazing ways to gain higher rankings without using back-links; the five most important ones have been discussed below. Quality content, being the king, can easily triumph all other optimisation tactics including back-linking. Google has long been giving utmost importance to content quality and with time it even started giving higher ranking to sites that used good quality content on their site, especially the homepage. In fact, Google also has a small army of human raters who identify quality content from the spam one. It also rolled out a Panda algorithm update to weed out sites with low-quality content. Having quality content for your website would ensure higher ranking even if you do not have any back-links in your page. Load your website with rich-information, written in a user-friendly language in a readable format. Your content should be unique and presented in a neat format with catchy titles and sub-heads as per topic’s requirement. Having no grammatical errors is a pre-requisite which is somewhat needless to mention. Your content should have all the answers for the possible questions that may pop up in your website visitors’ mind. Overall your content should educate, entertain and engage your website visitors. Back-links have long been treated as the principal pillar of SEO but can never surpass the power of strong and researched keywords. It’s time you bow before the power of keywords and start storming your brain to find the right keywords for your website to gain higher rankings. Various tools like Google AdWords Keyword Planner, SEMrush Keyword Magic, Bing Ad Intelligence, Keyword discovery etc., are available online to help you look for the perfect keyword, especially long tail keywords. Long tail keywords have a less search volume but, being more targeted, they ensure higher rank. You should choose keywords that are widely searched by people but have less or no posts about it. Avoid using keywords that are mainly used by top-ranking competitors as it brings in tough competition and in turn lowers the chances of getting a higher rank. Put yourself in the audience’s shoes to imitate their thinking process to gain higher rankings. Know what type of keyword the audience would type in the search bar in order to satisfyingly see your website on the result page. One of the best ways to get higher search engine ranking without using back-links is stealing the opportunity to publish about any and every latest trend and article first. All of us would unanimously agree that something or the other is coming up in the industry every day. Understand your users and know what type of information they would be looking for. Keep an eagle’s eye on the latest trend in your industry and become the first one to publish it in order to boost your SERP ranking. The earlier you get the content published or come up with user-centric services, the higher would become your search engine rank because of low competition in the initial stage. In order to get access to the latest updates news and information, you can create as many alerts on Google Alerts along with Google Trends know about all the latest trends prevalent in the industry and be the first one to announce it to the world, as a way to gain higher rankings. Once upon a time, adding a number of keywords in the web page was the second most important tactic used by SEO heads across the world after back-linking to gain higher ranking. Then suddenly, Google tweaked its algorithms and gave its Exact Match Domain update that penalised keyword stuffed sites. Since then, Google Webmaster has been keeping a check on the keyword density on any website or web page. Latent Semantic Indexing or LSI is a part of a Google algorithm that helps you in keeping a check on your keyword density so that it is not less or more than enough for algorithms. LSI keywords are the synonyms of the keywords used instead of the actual keywords to avoid spamming as well as gain higher ranking. 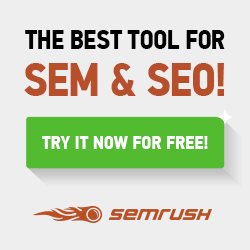 LSI keywords are semantically related to your main keyword are also SEO friendly. You can find LSI keywords for your content by searching on Google or using tools like Keyword Planner, LSI Graph/LSI Keyword Generator, SEOPressor, and EasyWPSEO. Whether you have added back-links or not, an optimised web page is indispensable to get higher search engine ranking. Especially for those who are not using back-links, on-page optimisation becomes all the more important to optimise the page for the search engines and get higher SERP ranking. As opposed to off-page SEO, which survives on building back-links, on-page SEO is some tweaking that you need to do on your pages in order to get high ranking. On-page SEO includes adding researched keywords in the title tag, URL, meta descriptions, headings, images and Alt Tags, in order to increase the click through rate as well as smooth the crawling of the web spiders. Add LSI keywords along with the main long tail keyword in all your pages to improve your overall ranking. Other ways to do on page optimisation is by giving quality content, increasing the speed, designing a responsive interface and using long scroll content etc., for skyrocketing results. Back-links are no longer the sole optimisation technique that can fetch you a higher ranking on Google; the five ways discussed above would definitely enable you to gain higher rankings on Google without using back-links. Try them for yourself and share your views in the comment section below. Anurag Gupta is a budding entrepreneur with stakes in WeblinkIndia.net an acclaimed Web Designing & Development Company, headquartered in India. He also happens to be a keen writer, sharing insights, tips, and tutorials on subjects related to the ever evolving landscape of Web Designing and Development. another, 100s of pages and dozens of sites to gain higher rankings. Comment: It’s the best strategy for full-time bloggers to get organic traffic with or without SEO. I actually don’t concentrate that much on SEO other than catchy titles, giving attention to sections of quality content, and maybe it includes a header or two in the blog post itself. All you need to notice from this kind of article is what I & most of the others newbies focusing on SEO is link-building. Internal page structure, internal SEO, link building activities like commenting, blog post, social sharing counts or bookmarking are the essential part of the better SEO techniques. I have seen many bloggers spending time on different ways of SEO link building instead of providing the value to the content and its social promotions. You may call it ignoring Google, but we all know that the Google bot doesn’t ignore anchored dofollow or nofollow backlinks to calculate your PageRank. With my experience, about 65% of my traffic comes from search engines, & the rest is from social sites that include referrals & direct traffic. So I don’t entirely rely on Google as I make comments on really useful blogs that have good content. It’s just like going to relevant sites comes under the micro niche site to you and ultimately making you get the direct quality traffic to you. Anyhow, it will then affect your keyword ranking and PageRank according to the Google guidelines. We don’t need to mention it, Google taking care of these things it just like a default way for Google in particular. To get higher search rankings, you need not only focus on SEO but other factors to make you drive more attention to readers online. Thanks for this page, that will help to me a lot and for other newbies too. Thanks, good information about SEO. Really like it. Keep your good work up. But do you really think that no backlink needed to get rank in Search Engine. Obviously a website needs some backlinks, the higher authoritative back links the better. However, read @Barakha comment below and you’ll see that back linking isn’t the be all and end all of SEO. All the five ways are definitely working, but I would like to add that now Google also looks at page speed after mobile first indexing update. This need to be taken care. Otherwise all the information of this blog is interesting. Keep sharing such blogs.